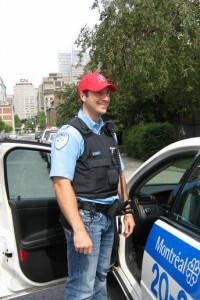 En 2008, il vous en souvient peut-être, à l’invitation de votre estimée Fraternité déçue de l’offre salariale de la Ville de Montréal, vous protestiez en portant un jean et une casquette de base-ball rouge… Nous, nous en avons gardé un souvenir très précis. en vous attaquant alors que vous étiez attablés à la terrasse d’un bar. Même si une infime minorité d’entre nous avait agi ainsi (il y a toujours quelques pommes pourries…), la dernière chose qu’il nous viendrait à l’esprit serait de défendre un comportement si honteux et d’en rejeter le blâme sur vous! Alors, soit vous n’éprouvez aucune honte, ou vous croyez que nous avons la mémoire courte. Dans ce dernier cas, détrompez-vous : nous nous souviendrons. La prochaine fois que vous ferez la « grève » et réclamerez encore plus de deniers publics, ne vous attendez à aucune sympathie de notre part. Si vous voulez notre sympathie et notre respect, il vous faudra les mériter, mais sachez que vos agissements récents produisent exactement l’effet contraire. Les amis, parents et sympathisants des étudiants en grève du Québec. À tous les protestataires : pourquoi ne pas porter un jean et une casquette rouge ce soir? 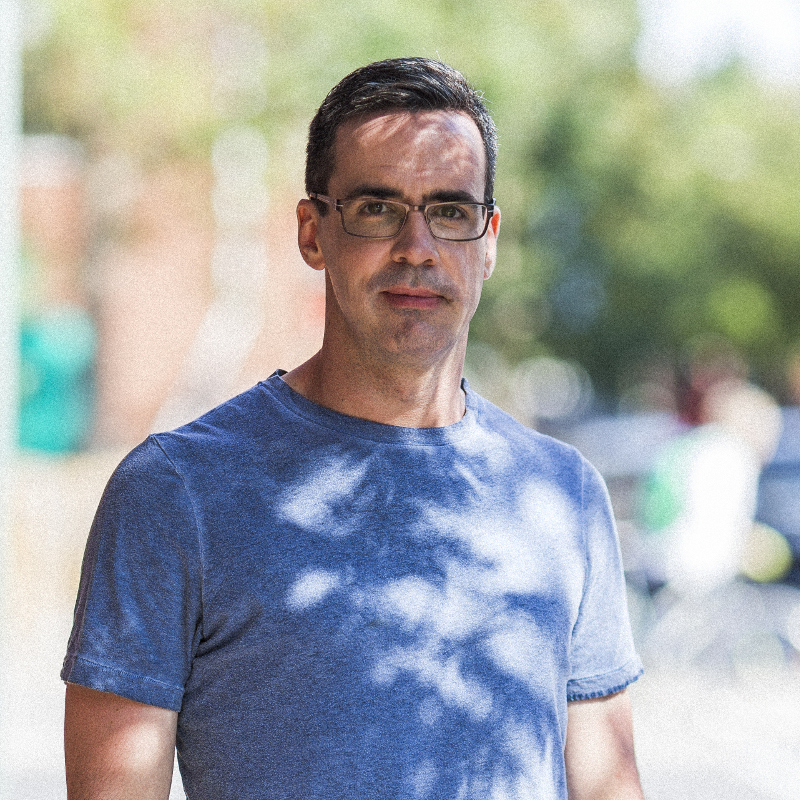 Le SPVM finira peut-être par comprendre notre point de vue. 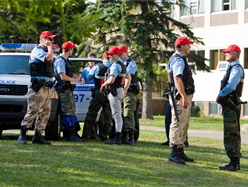 Do you remember back in 2008, when your esteemed Police Brotherhood was unhappy with the salary offer by the city of Montreal and you were protesting for wage increases? As a pressure tactic, you wore red baseball caps and blue jeans instead of the required uniform. We remember it quite well. attack you while you were sitting on a bar patio. Even if some tiny minority of us were to do these sorts of things (you know, ‘a few bad apples’), the last thing we would ever do is try to defend this sort of shameful behaviour and blame it on you! Apparently you either have no shame, or you think that we have a short memory. I hate to tell you this, but we don’t. We will remember this. Next time you’re on ‘strike’ and want more from the public purse, please don’t expect any sympathy from us. If you want our sympathy and our respect, you’re going to have to earn it, and lately, you’ve been doing the exact opposite. The friends, family and supporters of the striking students of Quebec. To all protesters: Why not wear a red baseball cap and jeans tonight? 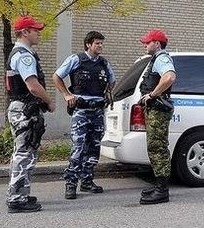 Maybe then the SPVM will finally understand our point of view. Nicely written Chris! Making the rounds on FB! Thanks Yee Fun. Please pass it around! Damn straight! Please, share it with everyone. This crap needs to stop, the SPVM need to end this madness. Your blog infers that you and your guys can attack cops and wreck property, but for the cops to attack you back is wrong. And if you manage to blend into the crowd, the cops may get the wrong person. How does that make you different from scum? First off, the people who are ‘attacking the cops’ (and there have been extremely few of those – none that I have actually seen) are not ‘my guys’. I have definitely *never* attacked the cops, nor would I support anyone who did. Also, if you had even the slightest understanding of how the law works you would also know that the police are not justified in breaking it just because a perpetrator does. As upholders of the law, they are bound to follow it and when they break it, they are held at a higher standard. I have been a witness to a number of these protests now, and the police have almost always been the instigators. Thanks for your feedback, and thanks even more for living in Toronto. I see you value peace by your usage of it as both a salutation to John Keillor, as well as your statement that ‘The responsibility for social peace lies with the government’, yet, any government by definition, can only enact any policy ultimately by force. How do you reconcile this? Sorry for the delayed response Graham. I value peace, but I am by no means a pacifist. My use of ‘peace’ as a salutation to John was due to the initial tone in his interaction which was quite hostile. I felt his tone was unwarranted, and hence the salutation or suggestion of a better way in which people can interact while still disagreeing. Also, the way I used the word has different meanings in the two contexts you mention above. Force is sometimes a way to achieve peace – unfortunately it’s sometimes the only way – and I don’t see any cognitive dissonance there, but I don’t agree that it’s always the only way to enact policy. While they might be etymologically very similar, I don’t think it’s correct to equate enforcing laws (from the critical laws like murder to the more mundane traffic codes) to actively forcing people to behave in a certain way. They are psychologically quite different, I doubt people feel they are ‘forced’ to not murder, ‘forced’ to abstain from being violent.